Matt and I decided to take a detour on our way home through the (slightly controversial) town of Edumclaw. Now, I’m fairly certain that this was my first trip to this town ever, and, well, if you are from the area you might be familiar with some of the local history involving livestock, but that’s another story. I wish I had not judged the town before I actually visited because its a pretty stinking cute little town. It has a nice downtown area where we grabbed lunch on our way home an a brewery that’s worth the visit. Matt had been to Cole Street just a few days before me and really wanted to make the stop on our way home, so we wressled up the last bit of energy we had and stopped in for a couple beers. If you find yourself in Enumclaw, I’d highly suggest making this stop, ESPECIALLY if it is a nice, clear day. 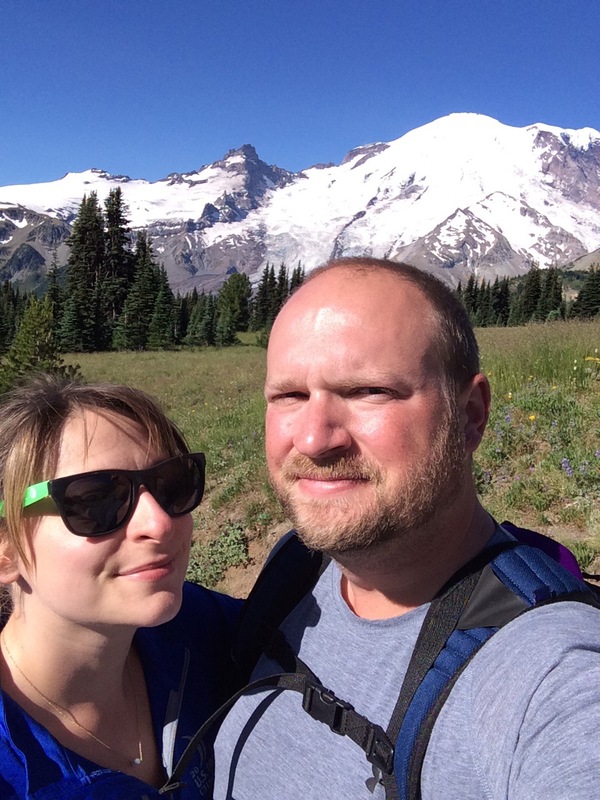 The brewery sits in an industrial lot with a few roll up doors that directly face Mt Rainier. The view is stunning. We tried to capture it on our phones but its one of those views you have to see in person. Also, beer. 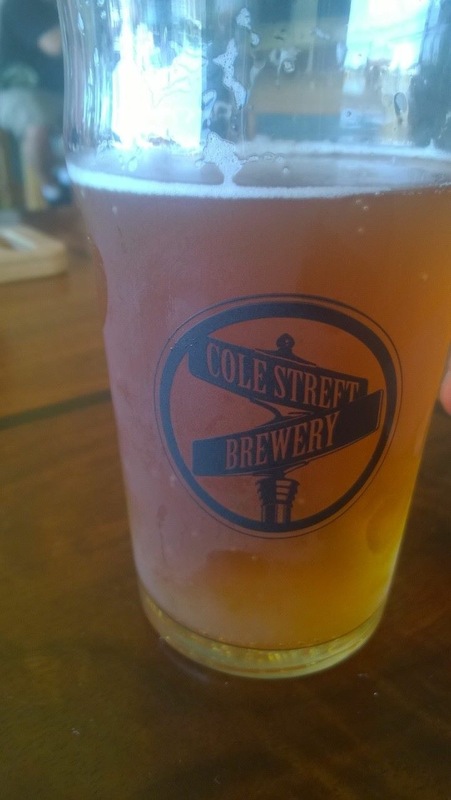 The beer at Cole Street is good. I tried the Brown Ale and the DIPA (double IPA). I thought the Brown was great, but the DIPA was even better. Matt tried the OutLander IPA, the ESB, the Cascadian Rye and the DIPA. He preferred the two IPAs (which is no surprise if you know anything about Matt’s taste in beer). He is not typically the biggest ESB fan these days but gave the beer a pretty solid approval. The Cascadian Rye was his least favorite but, hey, there had to be one. 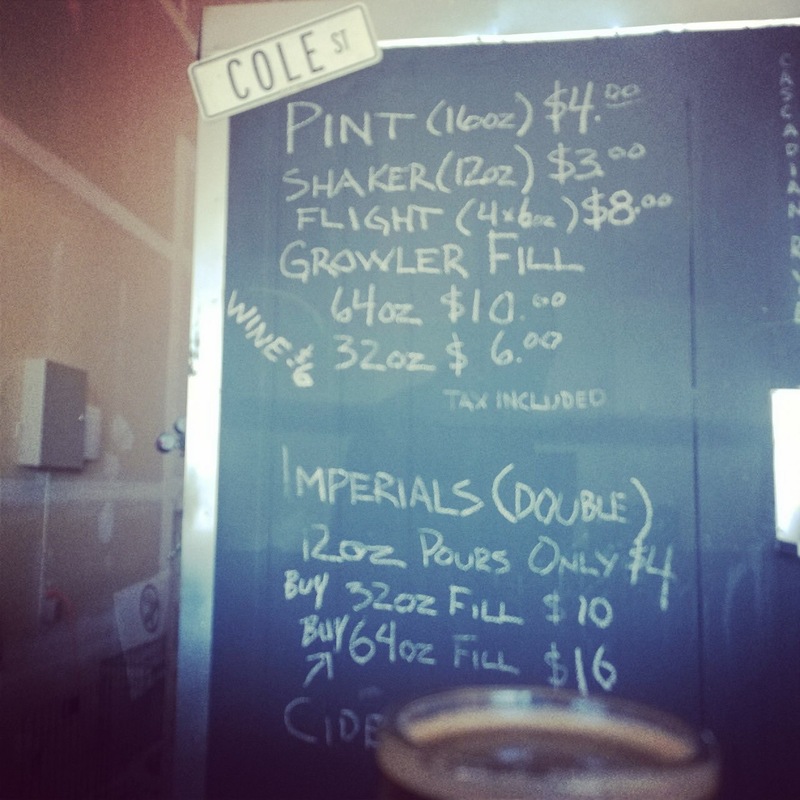 Overall I approve of both Enumclaw and Cole Street Brewing, if you are passing through the area I would suggest a stop at both. Knowing that we had a big weekend ahead of us, including an early morning hike on Mt Rainier and the Forth of July, Matt and I decided to hang out in town one Thursday night. Luckily this Thursday night was followed by a Friday off, so in WABL Journey fashion we decided to make the most of our “night in” by visiting a local brewery. For a town filled with beer drinkers, Renton is a little light on the craft breweries. There was one we had seen at beer festivals that we were ready to cross off our list, and that was Strong Arm. Strong Arm is located in a residential area in Renton and is only open a few nights a week, but it does not lack in flavor or friendliness. 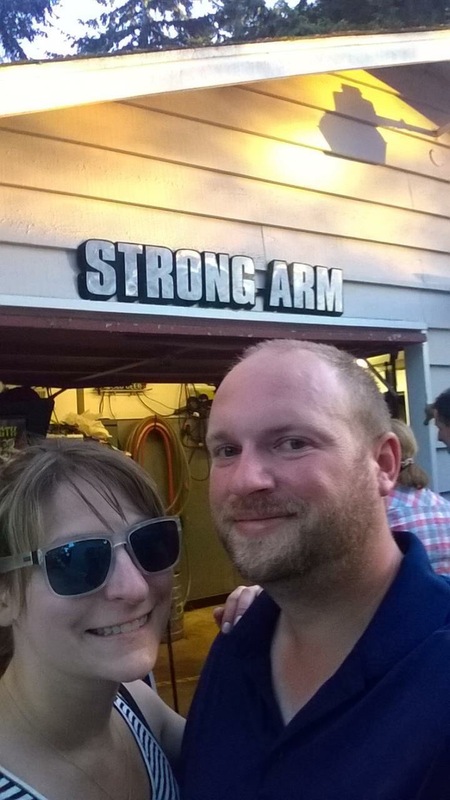 Pulling up to Strong Arm, we were a little unsure if we were in the right place, but once we walked up to the brewery itself I was pleasantly surprised. Its definitely an outdoor space where you kind of stand up by the bar, but on the upside they serve full pints and the service is friendly and awesome. Mack, one of the owners, was pouring the night that we visited. While I haven’t had the chance to visit while any of the other brewers were pouring, I found him to be welcoming and easy to chat with while Matt and I enjoyed a couple beers. He offered to let us try samples if we wanted but I decided to dive in and try the Drop Hammer Pale Ale. The beer is good, so good, that I decided to follow it up with a Torque IPA and a Coconut Porter. Matt also tried the Drop Hammer Pale but really wanted to try out the Denunciation Triple IPA, which he liked enough to grab a bottle to take home. I would say all of the beers we tried were above average and I would gladly order Strong Arm if I found it on tap somewhere.